While there are no economic reports in Japan, USD is getting weak due to probable Fed monetary policy tightening. 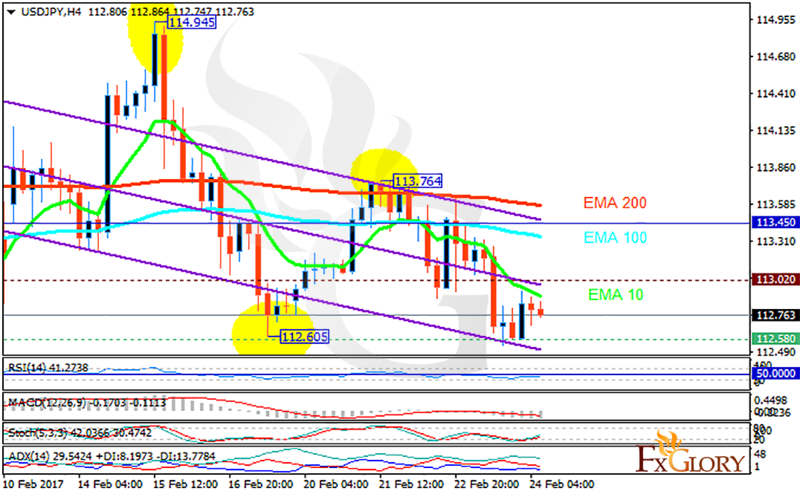 The support rests at 112.580 with resistance at 113.020 which both lines are below the weekly pivot point at 113.450. The EMA of 10 is moving with bearish bias along the descendant channel and it is below the EMA of 100 and the EMA of 200. The RSI is falling towards the oversold area, the Stochastic is showing upward momentum and the MACD indicator is in negative territory. The ADX is showing buy signals. There are contradictory signals all over the chart therefore traders can wait for a better chart setup before they make up their minds.